Celebrate Easter with a traditional dinner of lamb, beef or chicken with all the trimmings. 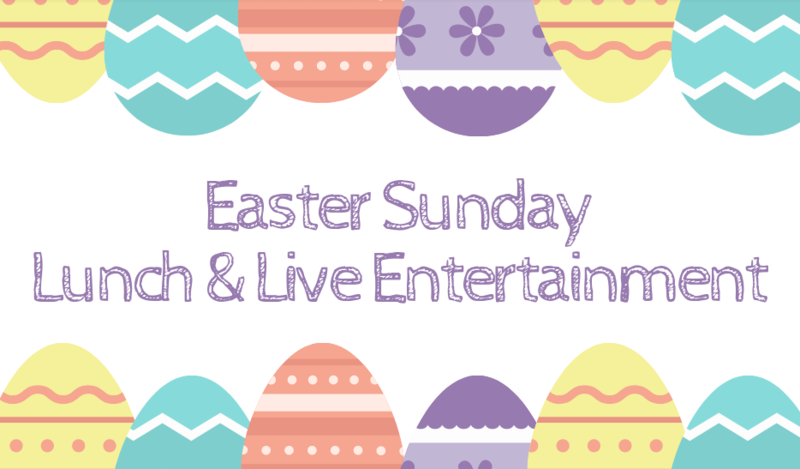 We have a wide range of Easter Dishes to suit every palate while all children will receive a chocolate egg to celebrate this memorable day and you can enjoy Live Entertainment between 2-4pm. Enjoy a three-course lunch of lamb, beef or chicken or we have a vegetarian option available too, while we also have a children’s menu on offer.